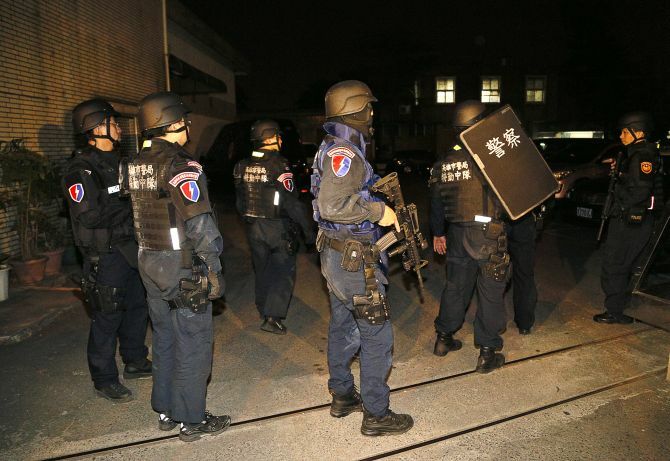 Six heavily armed inmates, who took a warden and guard hostage at a prison in southern Taiwan, committed suicide after a 14-hour stand-off. 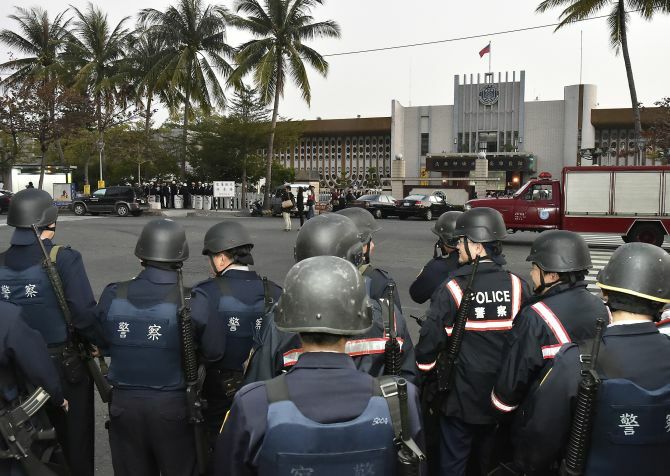 The standoff began on Wednesday when six inmates incarcerated at the Kaohsiung city prison -- jailed for a variety of crimes including murder, robbery and drugs -- broke into an armoury, obtained four rifles and six handguns, and took three staff hostage. They later agreed to release them in exchange for the prison chief and a senior staffer. The inmates shot themselves early Thursday morning, said official sources, adding that hostages were unharmed. "We tried to persuade them to release the hostages so the incident could come to a peaceful end but to no avail. We regret that six people committed suicide," said Wu Hsien-chang, chief of the ministry's corrections agency. Although officials refused to declare what triggered the prisoners’ suicide, the ministry did say that negotiations with the six prisoners continued for nearly 14 hours. The inmates, all convicted of murder, drug-related offences, burglary and a range of other crimes, were protesting against their sentences, alleged mistreatment and unfair trials. Lee Rong-tsung, a former councillor at the Kaohsiung City Council, reportedly knew one of the inmates. Rong-tsung said the inmates were unhappy about their allegedly “unfair trials” and complained that their jail terms were too long. The leader of the disgruntled inmates was identified by as one Cheng Li-teh, who had been sentenced to 28 years for murder; he had been behind bars since August 2012. According to Cheng, Taiwan's former president Chen Shui-bian, who had been sentenced to 20 years imprisonment, was given parole for medical treatment in January.